This Residential Concrete Project in Cocoa, Florida consisted of site grading & pouring a residential concrete driveway for a Homeowner. 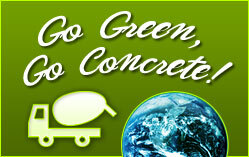 Please give Brevard Concrete Paving, Inc. a call today for all of your residential concrete needs. We specialize in concrete demolition & pouring high quality concrete slabs, driveways and patios throughout Cocoa, Florida!!! !